The Glasgow Skye Association's annual Pre-World's concert at the Glasgow Royal Concert Hall kept us busy in August. 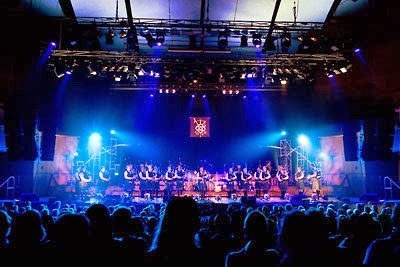 This year it was the Inveraray & District Pipe Band with their 'Ascension' themed concert. 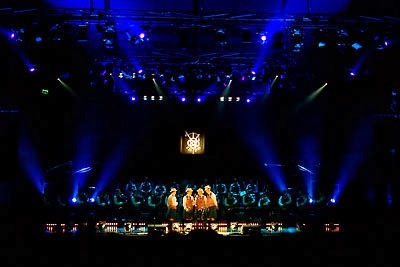 The concert hall was packed to the seams and this high profile and prestigious concert brought an audience from literally all the corners of the globe to see a wide variety of musical numbers which even included a barber shop quartet, pictured left. It's a long time since Adrian worked in this great venue and it was good to be back.